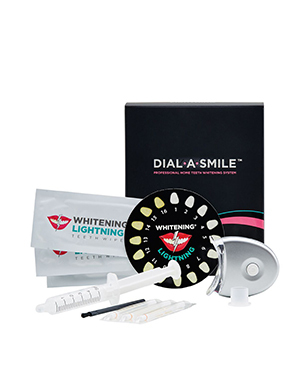 I just got finished using the whitening process – the results are nothing short of amazing! I drink coffee and you might know I like grape juice – most of the things that really do stain teeth. The Super Booster Pen is as easy as they say it is. All I had to do was turn the bottom of the pen (the way you would turn a lip stick) and the product came out at the end, I painted it on the front of my teeth, smiled, and let it dry. I have been using this product for a few weeks. Some days I forget to apply, but hey I am human. By now I can see a big difference in the whiteness of my teeth. The little bit of yellow that I was worried about, now seems to be gone- Smile from the heart!